You are centered when your heart, soul, and mind are aligned. 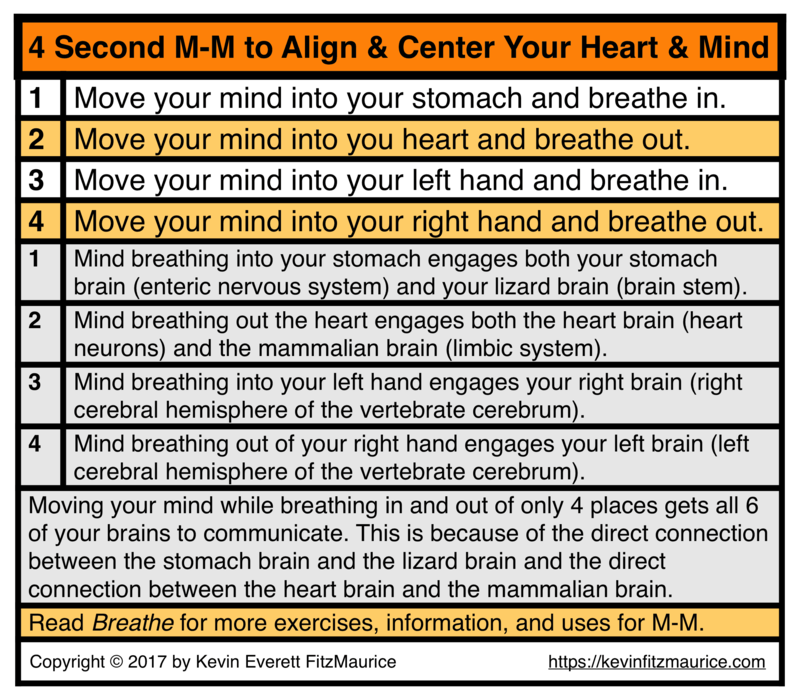 Your “calm mind” is active when you are centered. Ever wish you knew how to respond faster? Ever wish you knew how to respond better when hurt? Ever wish you knew how to respond better when angry? Ever wish you knew how to respond calmly and sanely during a crisis? Ever wish you knew what to say during a conversation instead of after the conversation was over? Give yourself permission to pause before you respond. Then M-M for 4 seconds before you respond. Respond from your calm mind. How can you relax or regain composure in only 4 seconds? You practice Mind-Moving (M-M) until you are good at it. How can it take only 4 seconds? 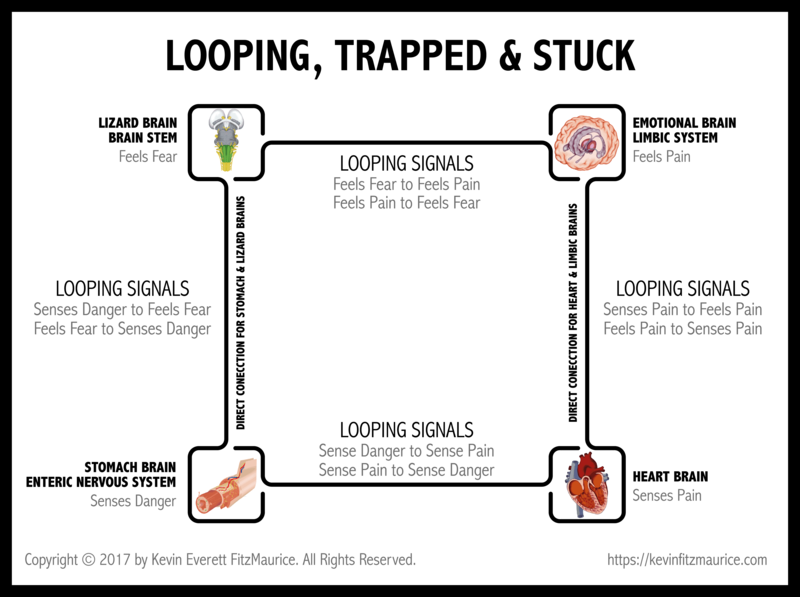 The basic M-M exercise has only 4 steps and each of those steps can be completed in one second or less. How do you learn to M-M? 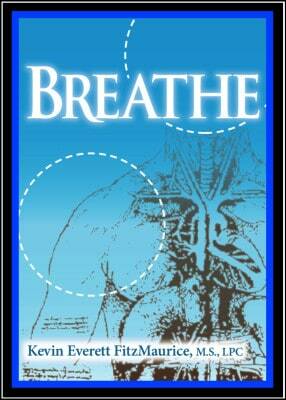 You buy and read the ebook Breathe by Kevin Everett FitzMaurice, M.S. How do people loop or ruminate?